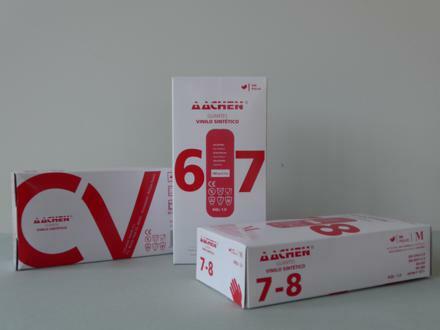 In CV Protection we keep trying to improve even more our products, so that each user can get the most appropriate one for their needs or sector. This is the time of the vinyl gloves supply. Vinyl glove with or without dust in natural color. Powder free synthetic vinyl gloves cream color. Vinyl is a material that allows multiple applications: medical use, in the food industry, cleaning and for aesthetics and beauty. Within the range of vinyl gloves, we can find the standard ones, and the synthetic ones. Both are suitable for various applications, shown in the table below. As you can see, the synthetic vinyl has more sanitary applications than the standard vinyl, becoming an excellent alternative to the nitrile for certain tasks. These properties make in CV Protection have opted to expand the available supply in this material, based on one aspect, that given the sectors to which it is intended, we believe it is essential: color. 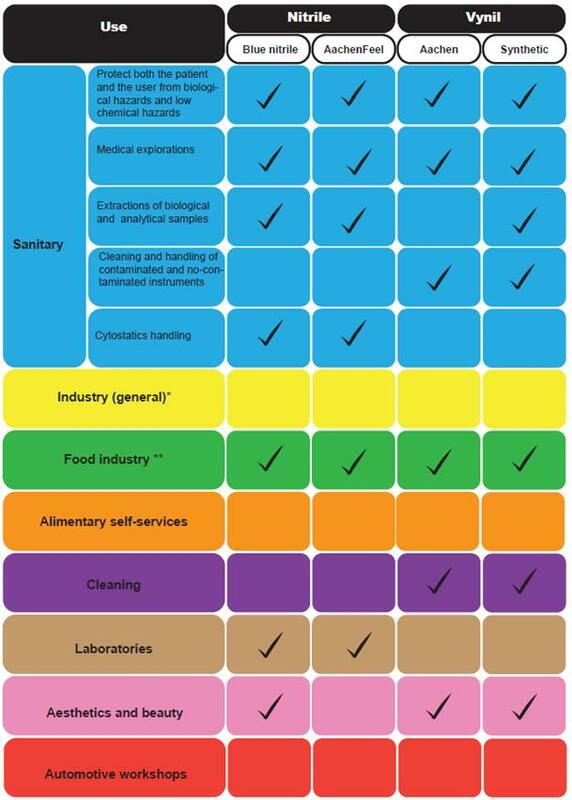 In the collective imagination the white color has always been associated with values ​​such as hygiene, cleanliness, neatness, etc., and this is even more important at some sectors, such as health, food, cleaning and aesthetics. For all of this, we bring to market the synthetic vinyl glove in white. It is made of polyvinyl chloride plastic (PVC) and free from latex proteins or chemical accelerators residues, which decreases the possibility of allergic reactions. The inner surface is smooth to put it easier, and the outer surface is non-slip. Unlike the non-synthetic vinyl, it has good elasticity and adaptability and tenderness remains. It has an 1.0 AQL, and meets European Standards EN 374 (1-2-3) and EN 455 (1-2-3).